Julian Crane and Equipment (JC&E) has been serving the New England construction market for over 60 years. Founded in 1938 by Louis Julian, the company has evolved through three generations to be a leading provider of construction elevators and tower cranes. 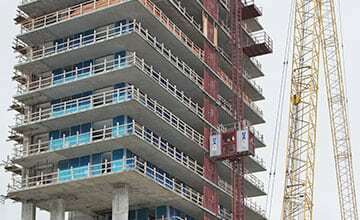 We’re proud to offer turnkey, customized solutions for vertical transportation on high-rise projects at JC&E. 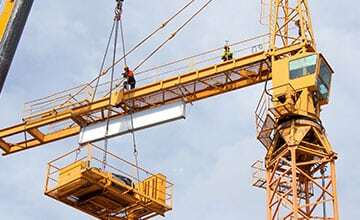 Whether you require our expertise for a tower crane application on building projects or exterior access solutions with personnel & material hoists, we have all the equipment and expertise required for your construction needs. Aside from the equipment we provide, our services include design and layout, quality installation, maintenance and safety oriented training. Our typical construction elevator customers at JC&E are large general contractors. Our elevators are used on high rise buildings, both for the new construction and renovation of existing buildings. Most rentals last from six to twelve months. Although Julian Crane & Equipment has rented through-out the northeast, the majority of rentals are in the New England vicinity. Since its introduction into our fleet under the guidance of Robert Julian in 1965, the construction elevator has been highly valued by contractors, workers and union management alike for equipment effectiveness, ease of use, and affordable installation and upkeep. If you have any questions regarding our company or how we can make your construction site a more effective environment, we invite you to call us today! 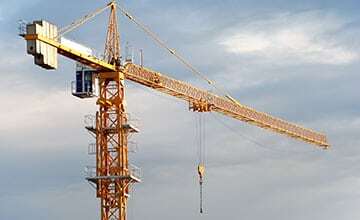 Julian Crane & Equipment is an elevator hoist company providing installation services and training as well as construction equipment including elevator hoists, tower cranes, and more to clients building in Boston, Springfield, Providence, Hartford, Albany, Syracuse, Rochester, Washington DC and beyond.